The nitrogen generator has been specifically designed to meet the gas flow, purity and pressure requirements of ASE extraction systems. The Nitrogen generator use pressure swing adsorption technology (PSA) combined with a pressure management in two steps to produce pure nitrogen gas with a high flow, pressure and purity. 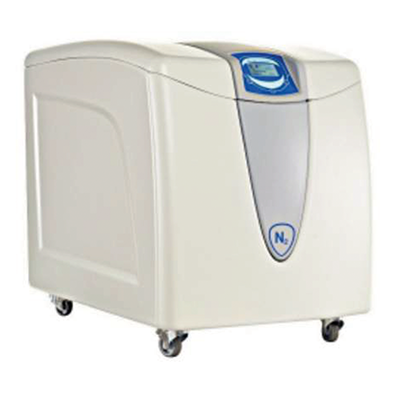 The nitrogen generator, model Eurus High Pressure, the only one on the market working up to 11 bar (159 psi). Quick return on investment < 1 year. No gas cylinder rental bottles, no price inflation. The 2-stage pressure design allows the two compressors to work at their optimum pressure range which is reducing the stress on the compressors and as result extending the life time of the compressors which is a considerable saving.